We found out about the famous British composer called Gustav Holst. Holst composed The Planets Suite. He took 2 years to write the suite. Each of the 7 movements is named after a planet in the solar system. We enjoyed listening to Mars, the Bringer of War. We though the music sounded quite angry! We could hear marching sounds as if soldiers were marching to war. Mars is played mostly on string and brass instruments. At the beginning Holst asked the violin players to turn their bows around and play with the wooden part! We all had a turn at playing a violin. We have also been using percussion instruments this term. We have explored how the instruments make sound. 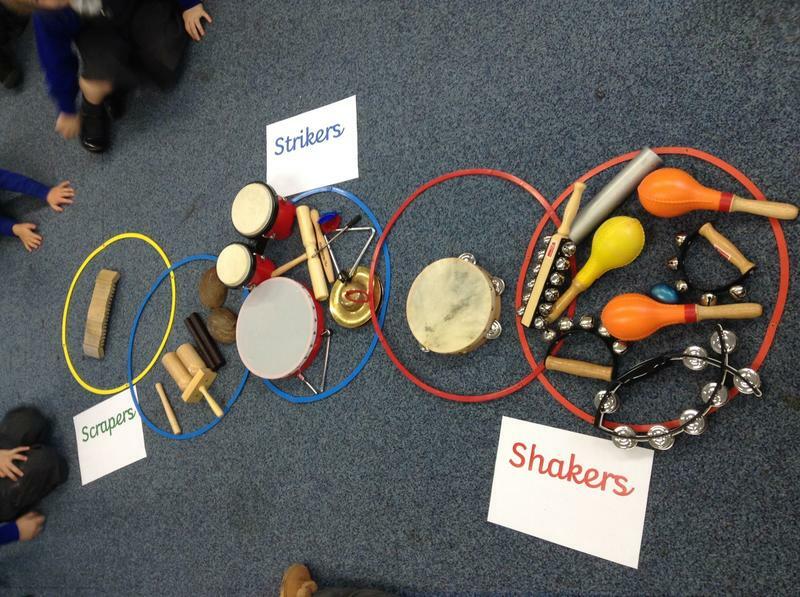 We sorted the instruments according to how they are played. Look carefully at our sorting. We decided that we needed to move the hoops together because some instruments could be played in more than one way!